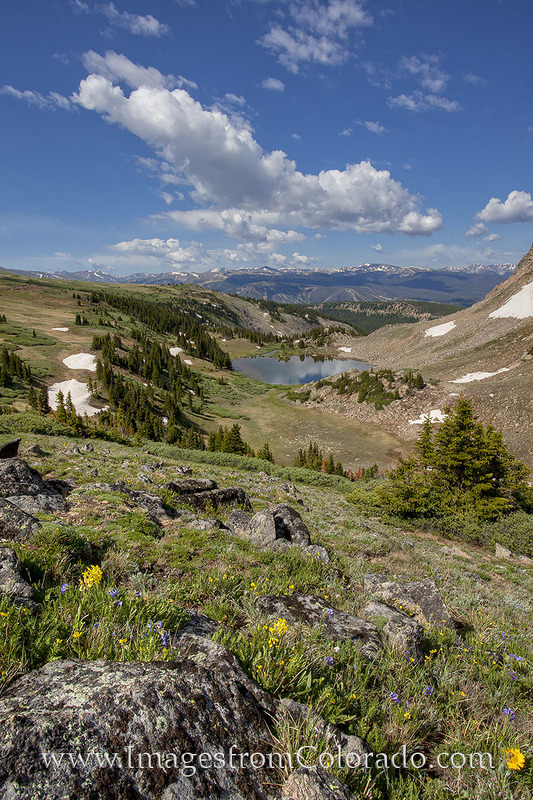 From Rollins Pass (the old Corona Pass Road), Deadman’s Lake sits in a beautiful cirque. In the distance, the ski runs of Winter Park Ski Resort can be seen on a cool summer morning. Photo © copyright by Rob Greebon.